Moist and refreshing absorbent sports towel, ideal for sports or leisure activites. 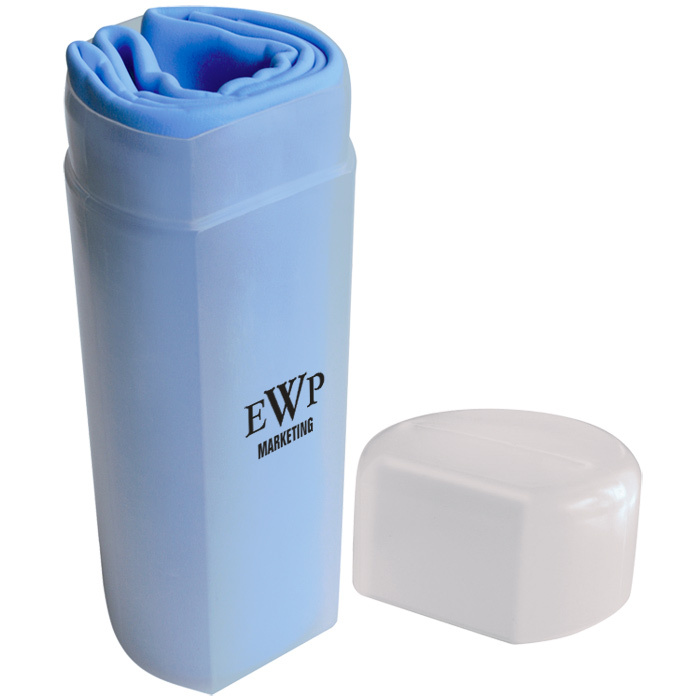 Comes in a plastic tube which makes carrying and storing easy! Your logo is printed onto the plastic tube, so it'll be a long-lasting reminder of your brand! Dimensions: 360 x 550 x 1.5mm. Print area: 145 x 35mm.